Why is there no engine oil recommended for my vehicle? 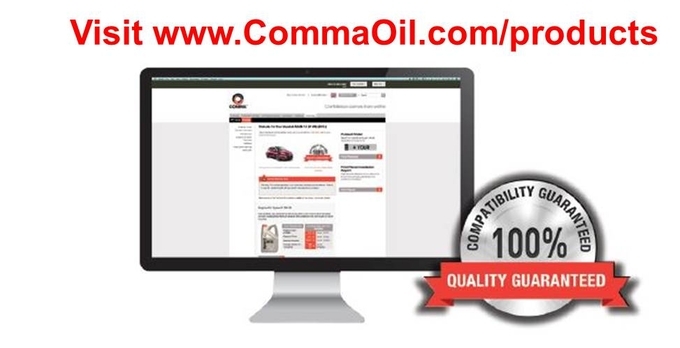 Comma's range of Performance Motor Oil currently covers 99% of the UK vehicle parc, however sometimes vehicle manufacturers use a specification or a viscosity that is very specialised, so we cannot suggest a product that would be suitable for your vehicle. For further information on this topic, click here to view our technical article. How do I select the correct oil for my vehicle? The easiest way is to use one of our application tools. Either our online application guide, where you can select your vehicle using the VRN (Vehicle Registration Number) or by using the make and model search. Our data is also available through various electronic cataloguing systems or you can use the printed Comma Application Guide if you do not have access to any of these systems. All our recommendations are based on data provided by the manufacturer (the same that you can find in the vehicle owner's handbook) and are fully backed with a 100% compatibility guarantee which can be found on the website. Why is it important to determine the correct engine oil for my vehicle? The time when a single grade of engine would cover almost the entire vehicle parc is now a thing of the past. Choosing the right engine oil has become more complicated due to engines becoming more complicated, fundamentally because of increasingly demanding environmental legislation. To meet these requirements, as well as changes in design and materials, vehicle manufacturers have to resort to systems like EGR (Exhaust Gas Recirculation), exhaust after-treatment systems (catalytic converters/diesel particulate filters) and turbochargers to meet these demanding emissions regulations. The result is a shift towards OEM (Original Equipment Manufacturer) specific products. In conclusion, modern engines require manufacturer specific engines oils. Oil plays a vital role within an engine, as it performs three key functions: it provides engine lubrication, provides a degree of cooling and provides engine cleaning (with the use of various additives in the formulation). When the incorrect oil is used, or the oil is not changed at the manufacturer's recommended intervals or the amount of oil is not checked regularly between service intervals, it can lead to significant and costly engine damage. ACEA (European Automobile Manufacturers Association) is made up of the major vehicle manufacturers in Europe. They set and regularly update specifications (known as sequences) for both cars and commercial vehicles, and for cars these are A/B sequences (for petrol and diesel respectively) and C sequences (for exhaust after-treatment friendly oils). ACEA sequences are considered as the minimum industry standard for engine oils, as many manufacturer specifications are developed with ACEA sequences as the basis. Why is there no gear & transmission oil recommended for my vehicle? Comma's range of gear and transmission oils cover a large part of the UK vehicle parc, however transmission fluids can be very complex and sophisticated and are sometimes developed along with the transmission manufacturer; therefore the specification or viscosity is very specialised, so we cannot suggest a product that would be suitable for your vehicle. Can I use a Gear & Transmission oil with the specification API GL-5 instead of API GL-4? Usually when vehicle manufacturers recommend a GL-4 gear oil, this is what should be used. We would not suggest the use of a GL-5 version in these cases. It may cause difficulty in changing gear or in some extreme cases can lead to not being able to change gear at all. Some OEMs will allow for both specifications to be used, however, generally GL-4 products are used in gearboxes and GL-5 in differentials. How to choose the right brake fluid? 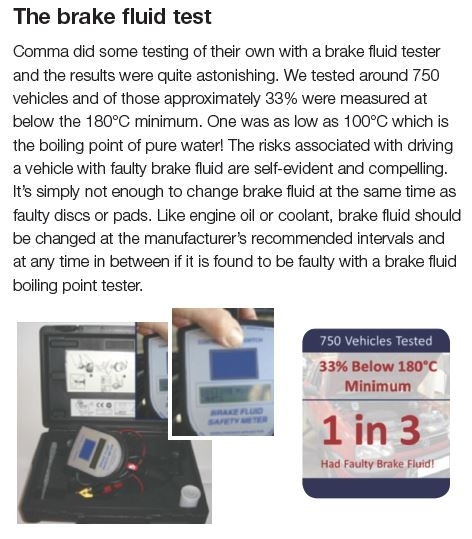 For further information on this topic, click here to find out about Brake Fluid and click here to find out about application. Why do I need to change the brake fluid? Brake fluid is hygroscopic which means that it absorbs water from the air around it hence why you are always advised to start each new brake fluid change with an unopened container of brake fluid. However, absorbing water is part of brake fluid's function. By keeping water locked in tight it stops it from pooling in the lower areas of a braking system. This helps to maintain hydraulic pressure, protects against corrosion and maintains the viscosity of the fluid. The downside is that as the brake fluid absorbs water its boiling point drops and eventually brake fluid will absorb enough water such that boiling point becomes dangerously low. This is essentially how the service life of brake fluid is defined. Brake fluids are becoming more complicated. Why is this? Vehicle technology has moved on and nowadays the modern family car weighs more, accelerates harder and travels substantially faster than its older counterpart. It therefore requires significantly more braking force to bring modern vehicles to a stop. Combined with complex, computer controlled functions such as ABS and ESP, the higher weight and faster speed of modern vehicles makes modern brake systems considerably more demanding on brake fluid than they ever were. Modern-day vehicles therefore need modern, high performance brake fluids in order to keep them braking effectively and safely. Why is there no antifreeze/coolant recommended for my vehicle? Through our partnership with BASF and the Glysantin brand, our Xstream range of antifreeze/coolants cover 99% of the UK vehicle parc. Sometimes manufacturers use a specification that is not covered by one of our products so we are unable to offer a recommendation. Antifreeze/coolant is designed to help protect cooling systems against freezing by lowering the freezing point, it protects against overheating by raising the boiling point and it protects against corrosion, but only when it is mixed correctly with water. 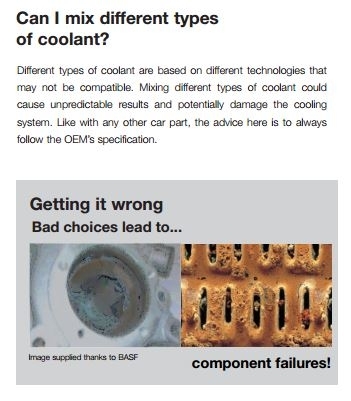 All ethylene glycol based antifreeze/coolants achieve the first two in a very similar way but it's only when we start to consider the additive package, (the bit that handles corrosion protection) when we start to see the differences between modern coolants. How do I choose the right antifreeze/coolant? For further information on antifreeze/coolants, click here and for further information on application click here. What are the differences between the various antifreeze/coolants? - Silicated OAT based product (Xstream G40). - For certain applications there is Xstream G05 (contains nitrates) which would typically be used in heavy duty vehicles. When compared with the more conventional coolants, as well as lasting longer they also protect better and are designed to be more compatible with all the different metals, plastics and rubbers you find in a modern cooling system. 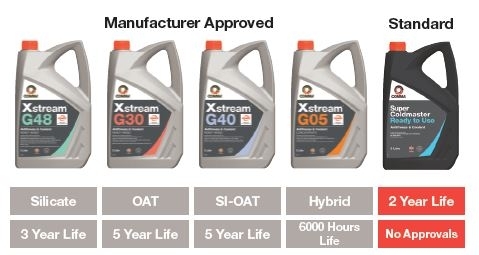 Most importantly of all, the Xstream range of antifreeze/coolant products are OEM (Original Equipment Manufacturer) approved and cover a wide range of specifications. Can I mix different types of antifreeze/coolant? Different types of antifreeze/coolant are based on different technologies that may not be compatible with each other. Mixing different types of antifreeze/coolant could cause unpredictable results and potentially damage the cooling system. Like with any other car part, the advice here is to always follow the OEM's specification. How is Comma able to provide such a comprehensive written Guarantee of Product Quality? It's because we use only high quality base oils for every one of our engine lubricants. Blended where appropriate with additives to meet vehicle manufacturers' specifications, they conform to the absolute standards and performance claims of ACEA, as validated by ATIEL, the representative body of Europe's leading oil manufacturers, of which Comma is a member. Not all aftermarket suppliers can give you both - or even either - of these assurances. So what it says on the Comma container really is what's inside. 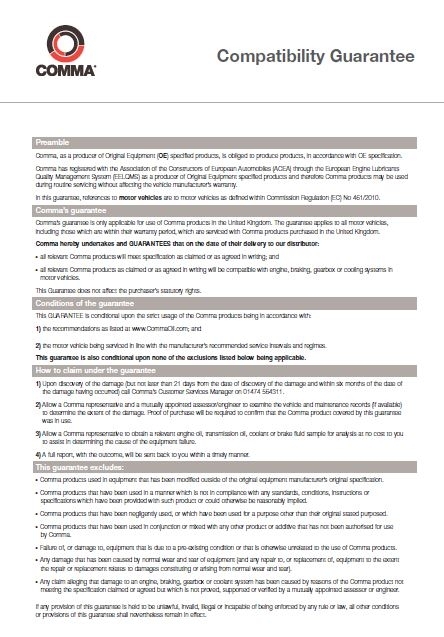 Most importantly, it means that can use Comma products in complete confidence to service in-warranty vehicles under the provisions of EU Block Exemption. Click here to find out more about our 100% Compatibility Guarantee. Why do you have seven 5W-30 engine oils in your Performance Motor Oil range? Most vehicle manufacturers are moving to lower viscosity oils like 5W-30 oil due to the fuel economy benefits that this brings. However, there are also targets and standards for vehicle emissions which must be met, and each manufacturer has their own way of achieving this. The differing demands of the various manufacturers has led to multiple products of the same viscosity and whilst we do our best to try and combine these specifications it's virtually impossible to combine the requirements of every manufacturer into a single, cost effective product. Which antifreeze & coolant is required for classic cars? Generally speaking, classic cars benefit most from using the types of coolants that were around when the vehicle was new (usually silicate based products). In most cases, for older vehicles dating from before around 1980, the use of Comma Super Coldmaster is recommended. Although we are aware of people using more modern OAT based coolants, the fact remains that these newer coolants will not have been tested against the materials, gaskets and seals found in older cooling systems and so we cannot be certain they will be totally compatible. Owners clubs for your particular vehicle may also be able to provide further insight into this issue. Or alternatively contact our technical helpline. My vehicle has a Diesel Particulate Filter (DPF) and yet you recommend an oil which doesn't meet low SAPS specifications (e.g. ACEA C1/C2/C3/C4), why is this? Most vehicle manufacturers stipulate the use of a low SAPS engine oil for when exhaust after treatment device protection is necessary. Occasionally, some manufacturers will not specify the use of a low SAPS oil and so other products can be used that are not considered to be low SAPS. If you are still in doubt, please contact us, or you can verify the engine oil specifications for your vehicle by looking in the handbook. What oil do I need for my motorcycle? We do have a range of oils suitable for motorcycles although we do not publish an application guide for them. Please contact us with the details of your motorcycle for further advice – we would need the make, model, engine size and year to make an accurate recommendation. Do you have an oil suitable for Euro 6 engines? Euro 6 is an emissions standard that applies to all vehicles sold in the EU. It defines the level of allowable combustion by products that vehicles can expel through the exhaust, and manufacturers have a number of ways of achieving this. Each manufacturer will have their own way of achieving the required standard and this will lead to varying engine oil specifications that are usually unique to each marque; Euro 6 is not an oil specification as such. 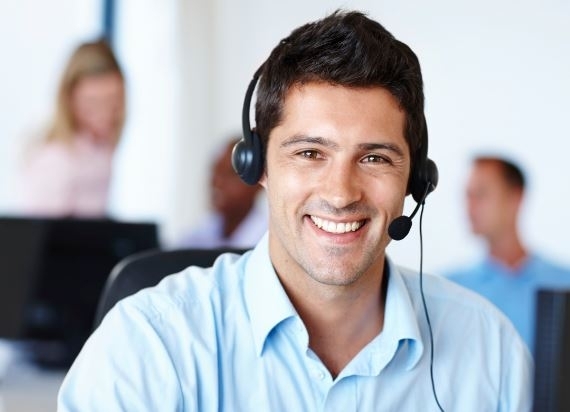 For more information contact our Technical Helpline click here. Why is the engine oil capacity not shown for some vehicles? Our application data is collected from the vehicle manufacturers so we can give an accurate recommendation that's based on the same information which is found in your vehicle handbook. Unfortunately, some vehicle manufacturers do not publish the capacity data, and so we cannot advise on this either. If the information becomes available from the vehicle manufacturer we will publish it on our website. Why does the same engine in different vehicles sometimes require a different oil? This can occur when manufacturers jointly develop a series of engines. Although there are some common components between the engines, the vehicle manufacturer may choose to amend or tweak other parts and this in turn can lead to different oil specifications. It may also be a result of a particular vehicle manufacturer wanting the oil requirements to be in line with the rest of their range.